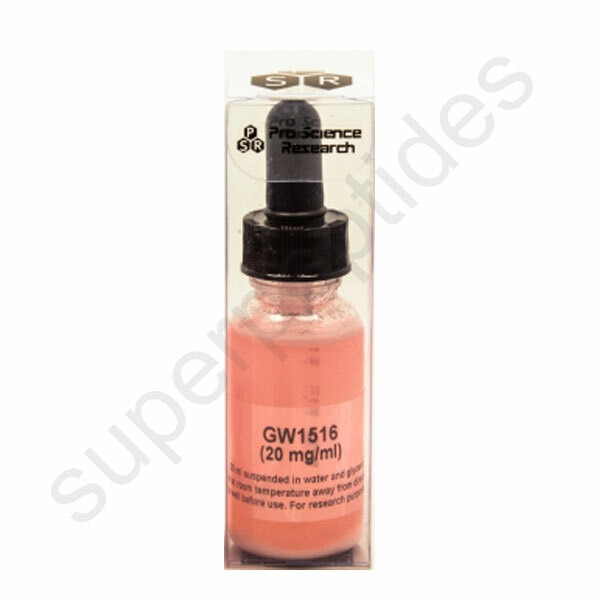 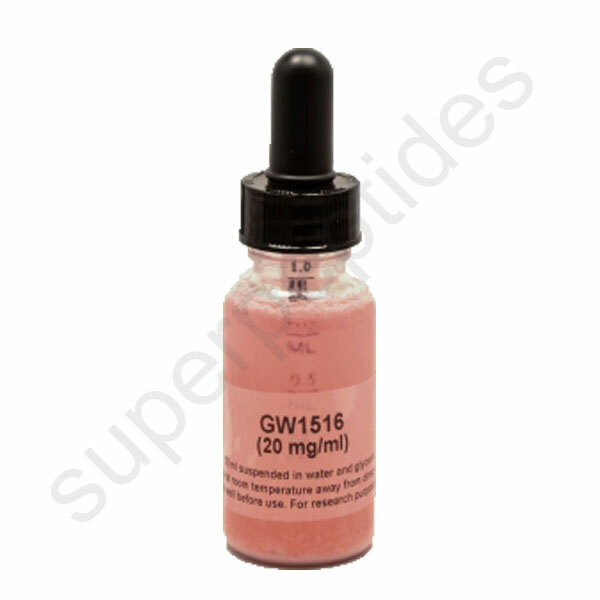 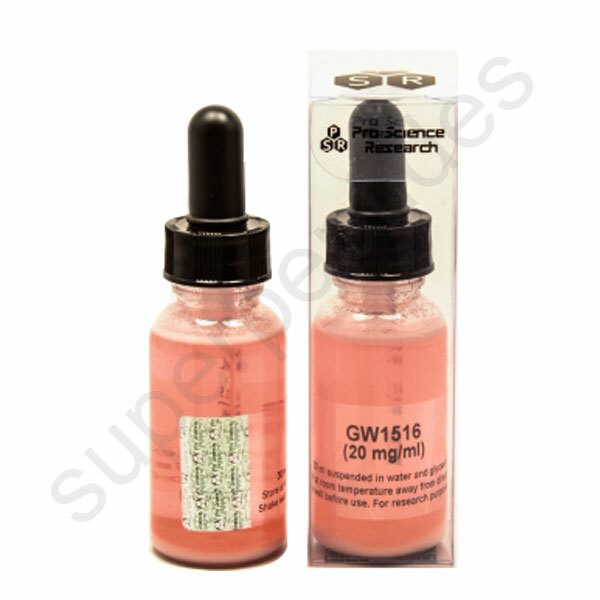 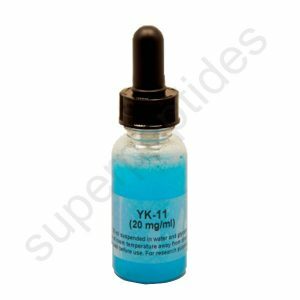 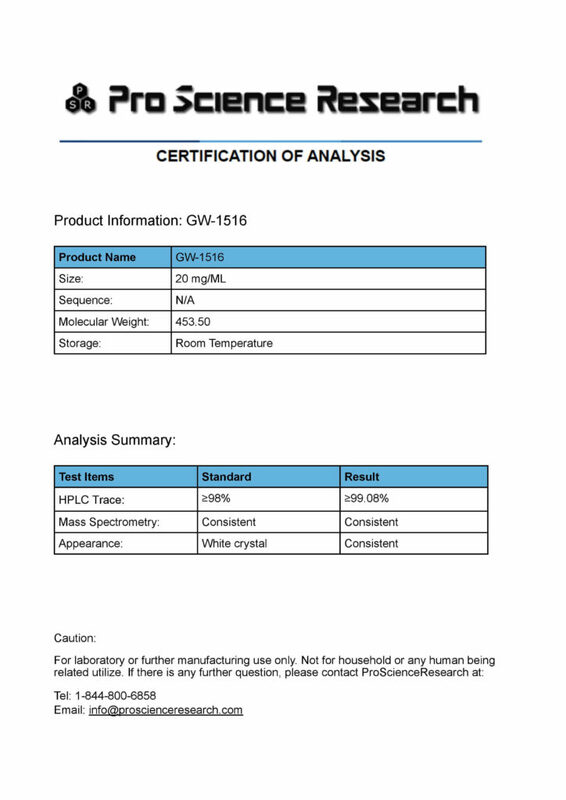 GW1516 activates AMP-activated protein kinase and stimulates glucose uptake in skeletal muscle tissue, and has been shown to reverse metabolic abnormalities in obese men with pre-diabetic metabolic syndrome. 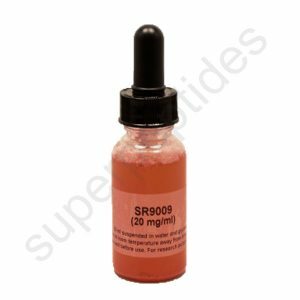 It most likely does this by stimulating fatty acid oxidation. 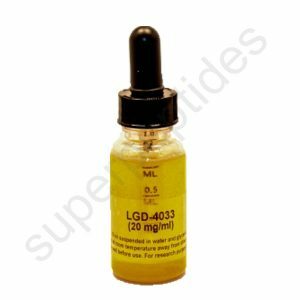 It has been proposed as a potential treatment for obesity and related conditions, especially when used in conjunction with a synergistic compound such as AICAR. 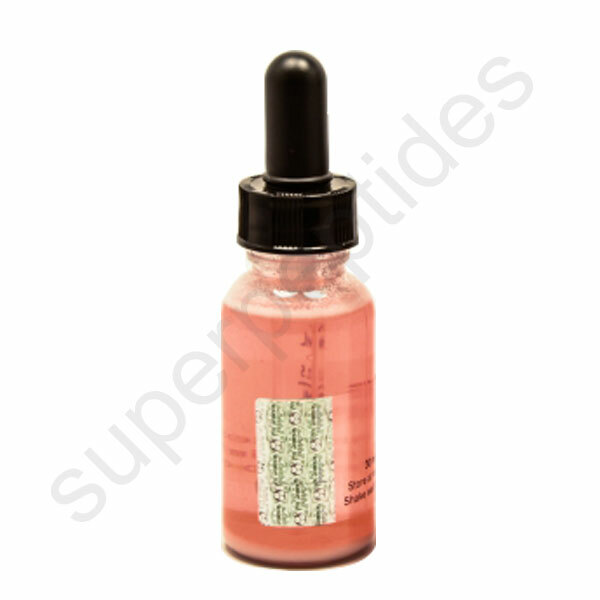 The mechanism by which PPARδ agonists increase HDL seems to be a consequence of increased expression of ABCA1, the cholesterol transporter. It is a SARM that acts as a PPARδ modulator.